We’re rapidly approaching the end of another glorious year. 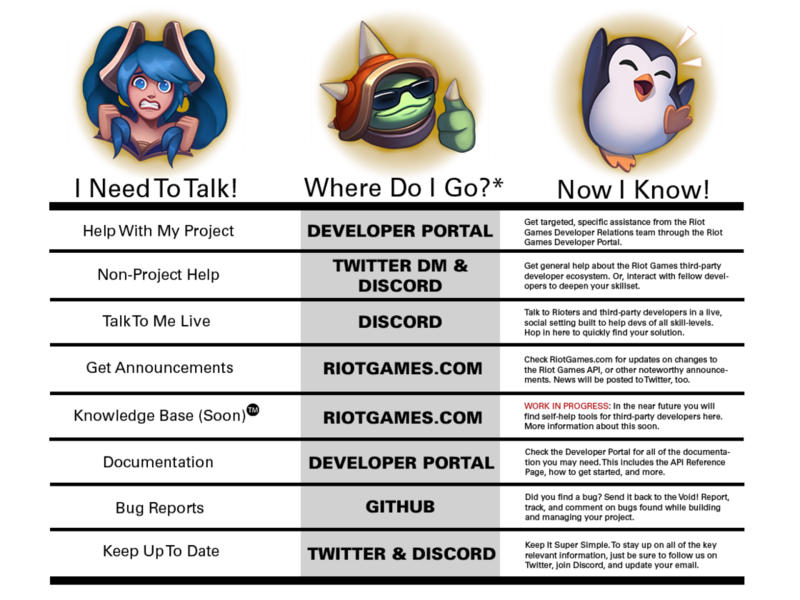 The Riot Games API is maturing to version 4, and we are extremely proud of the creations on display from the 2018 Riot Games Hackathon. While there’s more to come on both of those fronts, and while we still have the final Online Challenge of the year in the wings, we do have a notable update that we want to share with you today. tl;dr: Riot is adding efficiency to Developer Relations communication channels, by giving each one a purpose, allowing developers to more effectively resolve their product’s problems. In order to better serve and represent the development teams in the ecosystem, we need to do our best to keep you informed. This includes making sure you have access to the latest impactful news, as well as making sure that you have clear ways to connect with us when extra care is required. So far, we’ve taken a shotgun approach which has led to us performing below the standard we believe that you deserve. We Are Leaving AnswerHub. AnswerHub, while a functional community forum platform, does not provide us with the flexibility we want, long term, to improve how Riot communicates with third-party developers. This move happens on Sunday December 2, 2018. Content not retained by the community will be saved privately by the Developer Relations team (us) at Riot for an undetermined amount of time. We Are Moving To RiotGames.com/en/DevRel. Moving to an “owned” channel like riotgames.com gives us a strong platform to build upon with a bit more flexibility. To start we will host Announcements and Blog Posts (and some cool pictures) to keep everyone informed. In the near future we will add features we find key to a healthy community like threaded conversations and RSS. We Are Adding A GitHub Environment. This is for bug reporting, and opens doors for deeper interactivity between Riot and developers. THIS IS LIVE NOW. To report an issue you will need to be logged into a GitHub account. Once logged in click on Issues on the top nav bar. Please make sure you read the instructions for the correct formatting of your issues. Clearing Up The Purpose Of Each Channel. This step is best explained through the lovely chart below. We understand that this is a slightly new system, and as such confusion may arise. If you ever catch yourself wondering how to interact with Riot Games, default to “I’ll ask on Discord,”. We have elected to focus the weight of our real time communications to that channel. For more detailed support, reference the chart above. 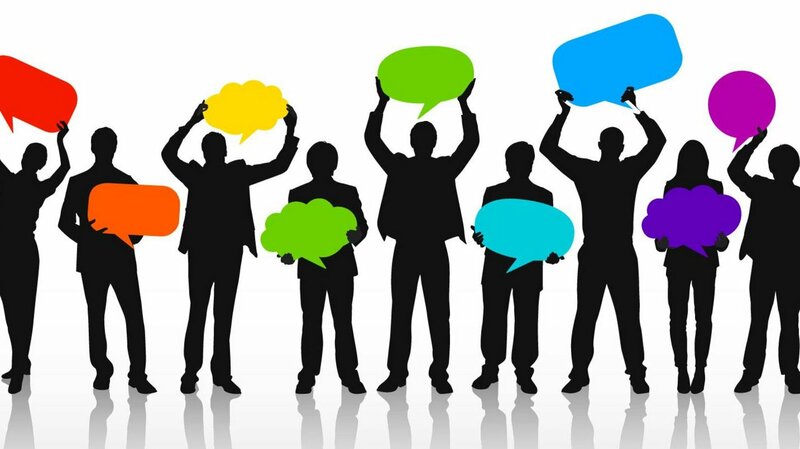 Thanks again for staying up to date on ways to best communicate with others in the ecosystem. We’re looking forward to building these new practices into habits. And remember: the best way to stay up to date is to follow, join, and “subscribe” (Follow Twitter, Join Discord, Update & Verify Your Email). We look forward to talking to you again, soon!